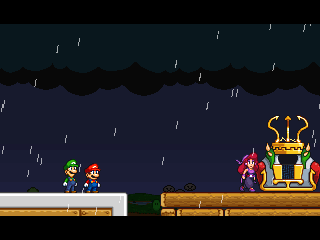 Bowser and Captain Syrup have teamed up in an attempt to turn the world into solid gold, and in turn, Mario, Luigi, Wario, and Waluigi are teaming up to stop them by collecting the pieces of an ancient artifact first. Oh, just to give a status update, all the main game levels are finished, and as of this post, I'm nearly finished with my graphic list (this includes graphics that need updates), after which I want to start on some smaller post game levels. On that note, heres some new pictures, including a new enemy named Wisp Braxton. It's worth mentioning that the segment with Wisp Braxton has what is probably my most favorite song in the game. Hey, been a big fan of this project for a while. Even made a video on it a while back that you commented on. I've been lurking around for a while and checking on progress, and I must say I am absolutely excited for release. On the matter of the new enemy though, is it the little ghost in the top right picture or the enemy in the bottom right that somewhat resembles Bean? (11-28-2017, 10:59 PM)SomeRandomGuySRG Hey, been a big fan of this project for a while. Even made a video on it a while back that you commented on. I've been lurking around for a while and checking on progress, and I must say I am absolutely excited for release. 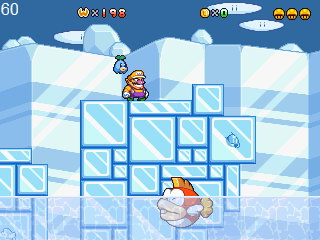 Ah, the bean is actually a ghost enemy from SML2, I just happened to snap that shot while it was turning around. Wisp Braxton is the other enemy, the one in the last shot. Nice, are the post-game levels going to have new gameplay gimmicks and ideas, or are they gonna be recycled from the main game in a more challenging way? (11-29-2017, 12:02 AM)GStache Nice, are the post-game levels going to have new gameplay gimmicks and ideas, or are they gonna be recycled from the main game in a more challenging way? Most likely recycled gimmicks used in new ways. Like I said, they are mainly level ideas I had that didn't fit anywhere else, so the generaly use things that are already in the engine. Theres also a number of gimmicks used in the main game that only show up for a moment, so I'd like to revisit them and give them their time in the spotlight. (12-01-2017, 12:49 PM)RetroRespecter When's the release? WHEN?! Dang it, now the release date's gonna get pushed back again. Sorry for the lack of updates, but all thats really left to make for the game is super end game stuff and what not, which as you'd guess, contains spoilers I'd rather avoid showing. Honestly, I'm looking at my graphics list, and it's just some OW graphics, and a couple cutscene animations. 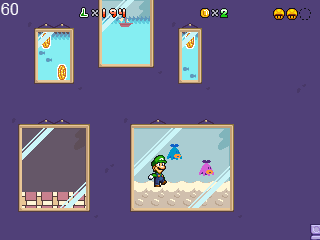 Anyways, heres a couple new screens. Nothing special, but hopefully this will tide you all over for now. The second one is an early concept I'm messing with, basically an auto scroll level with Volcano lotus following you below. It will be one of the earlier post game levels if I end up using it. The final version would most likely have a more defined theme to it, and a clearner look overall. EDIT- Small thing, but Rocky has a song he started on (still a WIP) that I don't think has ever been posted. EDIT2- Discovered a new use for an older object. Messing around with different set ups for right now, but it may find it's way into the post game. Nothing major today, just a quick update and a new screenshot. 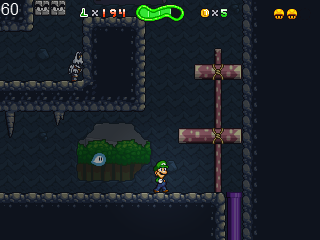 I've finished roughly half of the bonus world, and the levels are pretty fun so far. Past that I have a couple graphics to finish, mainly OW map stuff. 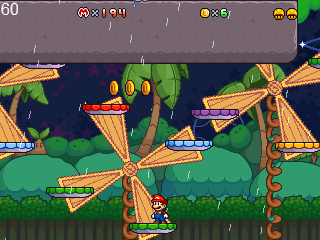 Also I'll say it now, this level involves windmills and a thundercloud chasing you. I didn't mean to copy that level from Super Mario Country, I kinda just made the entire level and was like, "This seems famili... dangit". 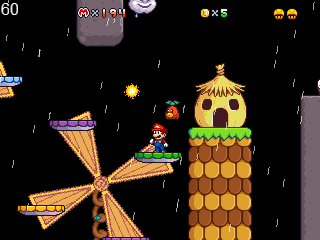 But the level design is very different and involved additional elements (Forgive me DJCoco). Wish I had more time, but slow and steady wins the race. Amazing looking game from the start!! How long has this been in development? I remember when it was the community fangame project. It's been a while. That said, a few years of that was it kinda floating in limbo when the CFP was basically dropped, after which, Guinea and I picked it back up. This has me excited. Keep up the good work! > Currently looking for: Additional help with animations/enemy/boss designs and additional level design assets. Please PM me on here or on Discord if interested! 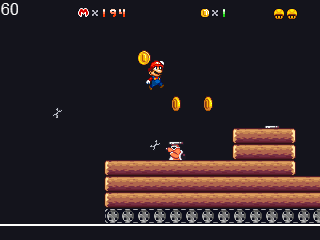 Oh hey, I almost feel honored someone still remembers Super Mario Country. 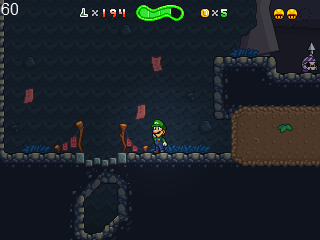 So I decide to go over the levels to get the totals and what not, and I can now officially say that the game contains a grand total of 250 Gold Mushrooms to collect through a whopping 138 levels! 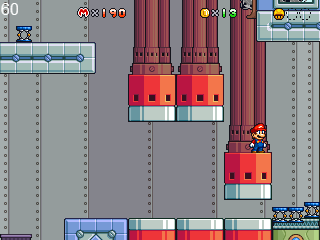 Theres also the fact that some levels basically split into two different levels that offer different experiences for different exits, so yeah, this game has a lot to keep your busy. (01-17-2018, 04:09 PM)DJ Coco Oh hey, I almost feel honored someone still remembers Super Mario Country. Man, how could I forget that game, It was so much fun! 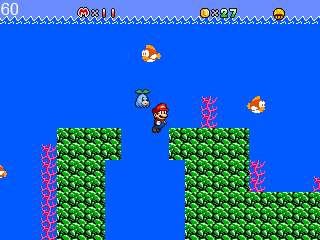 Plus, it had that little Midas Machine tie in with the shark enemy. Oh my, this should keep busy for a while then (if I remember to get sleep that is). Also, I hope there's an 100% completion bonus or something though. (01-18-2018, 10:39 PM)GStache Oh my, this should keep busy for a while then (if I remember to get sleep that is). Also, I hope there's an 100% completion bonus or something though. As of right now, I do have plans for something. I can't promise that it's going to be some sort of grand thing or whatever, but it's something. (01-18-2018, 10:27 PM)chaoxys So I decide to go over the levels to get the totals and what not, and I can now officially say that the game contains a grand total of 250 Gold Mushrooms to collect through a whopping 138 levels! 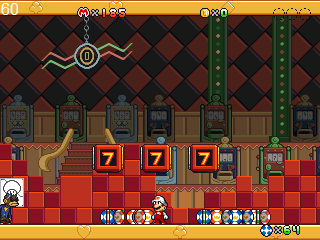 Theres also the fact that some levels basically split into two different levels that offer different experiences for different exits, so yeah, this game has a lot to keep your busy. 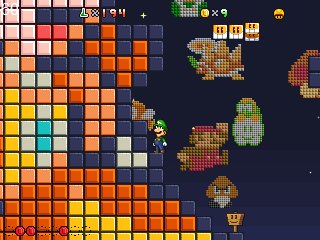 So do you mean to say you've finished the entirety of the levels of the game, or that you've decided the locations and amount of the gold shrooms in the remaining levels? 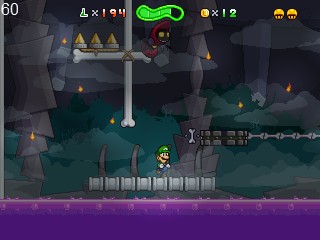 Most of the levels are finished. Theres a few that are finished as far as the groundwork is concerned and simply need an object/enemy added that isn't in the engine yet. 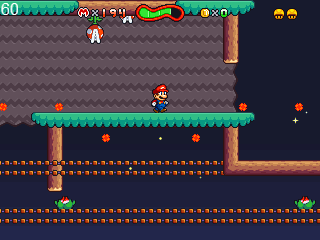 That said, theres 1 level I haven't even started as, due to the nature of it, I can really only make it once all the other levels are finalized, as it is a very special level. I follow the development of this games since the demo back in 2011 and I must say it's the most polished fan-game with own graphics to date. I just can't wait to play it. I always wanted to ask, if you ever thought about a modern 16:9 screen format instead of 4:3?